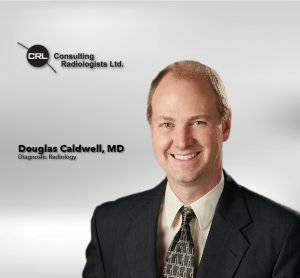 Dr. Douglas Caldwell joins CRL’s Teleradiology section with experience in abdominal imaging and teleradiology. After his Internship in Transitional Medicine, Dr. Caldwell also completed his residency and served as Chief Resident of the radiology department in 2001 at Emory University Hospitals in Decatur, GA. He then moved to Madison, WI for his fellowship in Abdominal Imaging at the University of Wisconsin Hospitals and Clinics. When asked what he is most proud of Dr. Caldwell responded, “Finding something that truly impacts patient care. For example, finding aggressive cancer early which can be completely cured.” He also tells us that one of the things he’s learned from his patients is “Many of the social challenges of better health” and the aspect of his job he enjoys most is helping patients achieve better health. Outside of work Dr. Caldwell enjoys spending time with his family, running, tennis and reading. Previous: What is Breast Density and Why is it Important?